Great grip on dry/wet loose, loose over hard terrain, nice rolling even on hardpac, responsive and relatively light. This one is excellent front tire. Used Nobby Nic Evo on front before so rides are better with Gato for me. Excellent manufacturing quality. Excellent price. Rode few hundreds on this, TNT version, tubeless setup on Stan’s rims, 18-22 PSI. Really tight fitting - this may be challenging, but I feel confident with tubeless setup, it really holds its place. Wear is moderate to considerable. Very strong rubber smell when new. It should be washed and left for certain time outdoors before bringing it in. traverses across slick and thick mud easily unlike any other tire. Its absolutely amazing how well it holds traction in slippery mud. Fast rolling, and has a surprisingly wide range of psi to experiment with. 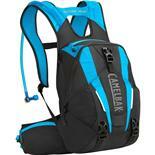 Great for dirt jumping, xc and downhill. tedious but rewarding to get this tire on a rim. 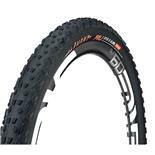 I have run these tires from 20psi on loose trails all the way to 110psi on hard packed dirt jumps and they are the best tire I have owned.I have rode this tire on dirt jumps, gnarly downhill trails, wet conditions and thick mud. And in all of these conditions they have exceeded my expectations. On concrete and hard packed dirt I run this tire up to 110psi and it rolls like a dream. I learned how to do gap jumps and 360s on the tire and I've never got a flat in the year I've rode it. On downhill trails I lowered the psi and it has amazing grip when it come to corning hard and fast. Its greatest strength would have to be its performance in thick and slippery mud. whatever psi you're running this tire traverses through the mud at ease surpassing the mud performance of any other tire. 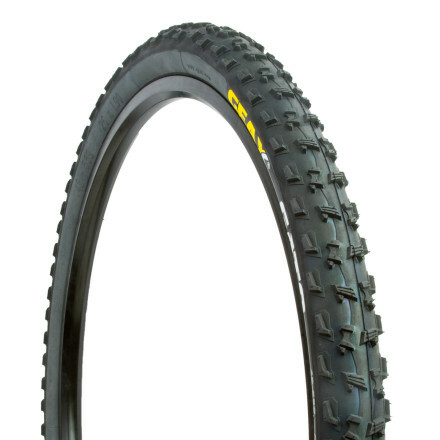 If you're looking for a tire that is capable of taking you anywhere from the street, to dirt jumps, to the muddiest singletrack trails to the gnarliest of downhill trails, this tire can do it all at ease. Too tight on the rim - you're screwed if you flat - I speak from experience. I can vouch that these do not fit on the WTB i19. After struggling for a few hours I broke down and took them to my LBS to install and the experienced mechanic there even had trouble. I knew I was screwed if I flatted on the trail, which just happened to me at last weekends Xterra EX2. A friendly competitor stopped to help as my spray-in flat fix didn't take and this guy had a spare tube to give me. The two of us couldn't get the tire off with levers and elbow grease. I rode back to transition area in hopes of finding a mechanic to help and then continuing on but no luck. I did get the tire off (probably the mile of riding it helped loosen it up) and a friendly spectator helped me put the tube in, but we required levers to put the tire back on - it was too tight that the only way to manage it on was to pry the tire as it was too tight to slide the levers and make it work. As expected, prying the tire made a hole and my race was officially f-ing over. Going from the Kenda Nevegals to the Geax Gatos, I noticed four things right from the start. 1) weight. The Gatos are lighter. I was expecting them to be much lighter, but they weren't. The Nevegals ran close to 1.2kgs each tire. the Gatos are supposed to be 680g, but they felt closer to 800g. Sorry, don't have a scale to measure. regardless, Gatos are lighter. 2)Construction, The Gatos are of way better construction and workmanship . 3) Installation. I use Stan's in both the Gatos and Nevegals. I'm very careful to clean the tires and the rim prior to installation. Additionally, I follow all install guidelines. The Nevegals were almost impossible to pump up. I even tried CO2 to no avail. With lots of pumping I finally got them pumped up. I got the Gatos to pump up my first try. 4) Rolling resistance. After the install, I took a ride on the asphalt. Immediately I noticed the smooth roll as compared to the Nevegal's rough pulsing and beating of the knobs on the ground. I realize the Nevegals provide superior grip. But Kenda did this by sacrificing weight. After the first ride, what I noticed was the fast acceleration of the Gatos uphill. Much less weight to turn over and very smooth. Very grippy and rolled over rocks with no slippage. Haven't tried wet terrains but the Gatos are made for it. Cornering is phenomenal compared to the Nevegals. The Nevegals have more of a squared face, and the Gatos have more of a round face. If you get the Gatos, run them at the lowest PSI you possibly can and you're in for a treat. I couldn't say how they perform because 4 hours later I'm still trying to get it onto my rim!!!! I've tried clamps, levers, heaters, soap.... They're so tight I can't install them in a garage with a full set of tools. I'd be screwed out on the trail if I got a flat and had to work on it. Cornering, good balance between traction and grip, low rolling resistance. Perfect front tire. You need to find that perfect sweet spot for tire pressure. I have been running the Gato 2.3 on my front wheel. It has the perfect balance between grip and traction. It corners great and rolls fast. I ride everything from wet woodlands to dry hardpack and rocky terrain. Its amazing. 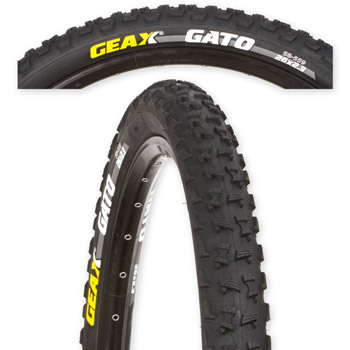 I am running a Geax Mezcal rear tire for the climbing traction and the tires make the perfect pair. I highly recommend them. I wanted a good combo for riding fast and holding traction. I ride a short travel full suspension and also wanted a little more pleshness so I went with the 2.3. Also good if you like to run low pressures. I am 180 lbs and run 29 psi rear and 27 psi front. good rolling resistance and grip, side grips are OK, I likie man. Really does good in sandy and muddy spots. Also rolls well on hardpack. I’ve had 3 rides so far. This includes loose over hard, deep loose rocks and sloppy wet with mud on rocks and roots. The first ride I had about 2-27 psi and I was not happy with them. Tended to bounce around and it was hard to hold a line. The next ride I rode with 20- 21 psi and it was night and day difference…grip like I’ve never experienced before. Love it on the front… all the above mentioned terrain was ridden with better control than I can recall ever having before. TNT casing + low psi is great. These are mounted on ust rims, and when I broke the bead to add sealant it was VERY difficult, which could pose a issue on the trail if flatted and need to install a tube. That’s not going to keep me from whole heartedly recommending them. After reading the other reviews I have to wonder how similar different models of this tire are; there is barely a mention of how scary this tire is on roots and rocks. I am reviewing the 29 x 2.3 with folding bead. I just got back from my second real ride on them (front and rear). The first time I rode them it was pretty dry and I was surprised how they slipped on rock compared to a Continental Mountain King 2.4. They were OK in the dry but I was really interested in how they'd do in wet, sloppy conditions. Today I rode them for 2+ hours on soaking wet, mostly tight singletrack. The trails are laced with roots, have some rocks and some bench cut / off camber portions. Pretty typical Vermont singletrack, with fewer rocky sections than the rest of the northeast. The good: they hook up unbelievably well on dirt. I was able to crawl up a leaf-chocked skidder trail like it was a road bike on pavement. The tread seems impossible to pack up. The bad: on anything hard (roots, rocks) they were scary, like walk your bike scary. The best way I can describe it: it's just like walking in my MTB shoes with hard plastic lugs. Anything off camber with roots or rocks was really sketchy. If I managed to unweight the front, the rear would slip or get kicked around. If I had to brake or change direction with the front tire it had to be on dirt and not roots or rock or I went down. I may keep one for use on the rear for riding in the woods (off trail) but I'm switching both tires before I ride again and going back to something with a softer tread compound. The traction on dirt and shedding ability make me believe they will be the most awesome tire ever for someone, but not where there are roots, rocks and off camber. - Terrific grip on wet terrain. - Consistent and predictable grip on wet roots. 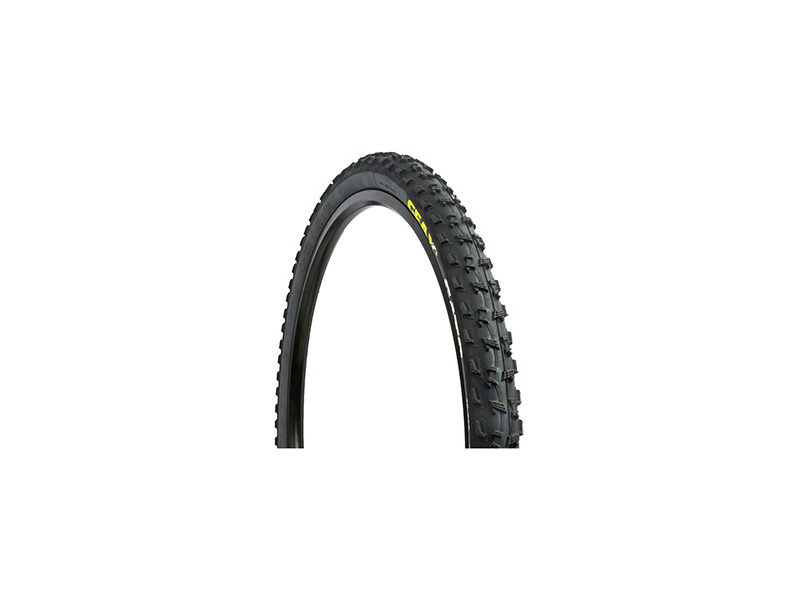 - Low rolling resistance, the tire just flies over the terrain. - Hard to get on Mavic xm819d rim. - Gets "damaged" easily when mounting! Avoid metal tyre levers if possible. By damaged, I mean that new tire looses too much air over time (gets empty in less than a week without tire sealant). - Rolling resistance on dry hard surfaces (tarmac!) is worse than in wet. But this really depends on the tire pressure, so experiment with it until you find the sweet spot. The tire feels faster on wet, muddy surfaces than on dry ones and especially on hard surfaces like tarmac. This is also not a real disadvantage since this is "wet specialist" tire! Great wet specialist tire. Excels from mid-autumn till late spring (Alpine weather - snow, rain, mud). What I really like about this tire is that it is NOT the classic racer-only mud tire. Instead it is something between classic super-narrow mud tire and all-round tire which is the best combination for regular wet/muddy conditions. Of course, every medal has two sides and the dark side (lol) for this one are tire economy, low volume and not that great performance on dry hard surfaces. But then again, this are the downsides of all wet specialist tires and has to be taken in the account! 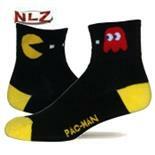 Would I buy another pair? Yes I will. Would I recommend it to a friend? Yes I would, as long as that friend needed XC/trail tire for wet conditions with not too much tarmac. Buy this IF you are looking for grippy and fast rolling tire for WET conditions, especially if you are concerned on the grip on wet roots. Do not buy this IF you are looking for mostly dry weather tire (get all-round tire like Nobby Nic or Ignitor) or if your winter riding mostly consists of tarmac riding (get something more tarmac specific).